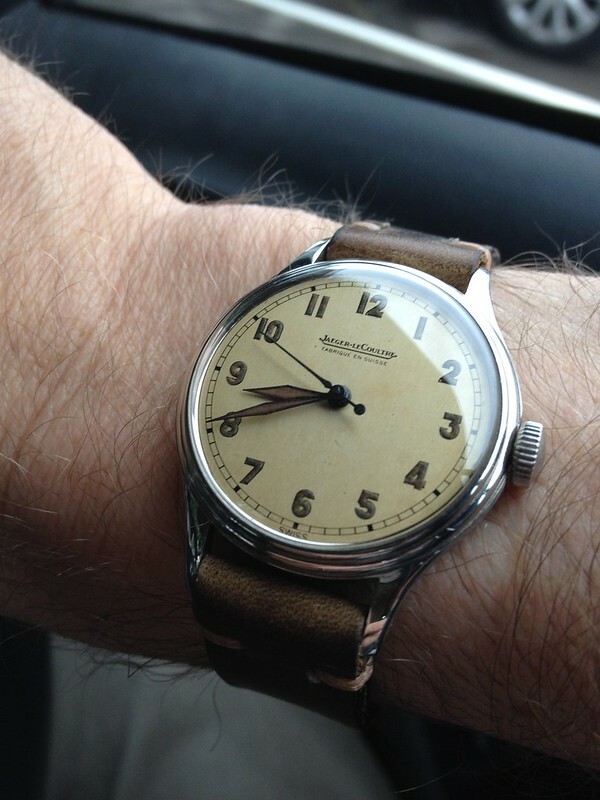 Hi new to forum looking for JLC info. Hi everyone, I've been pointed in this direction by guys over on the TZ. 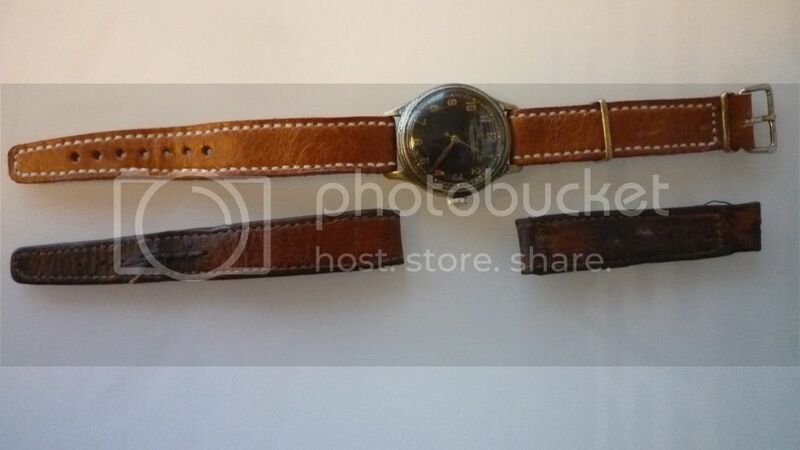 I recently bought this JLC and I'm looking for any info on it. I've been advised it's possibly a E150 with a cal.478 movement. Re: Hi new to forum looking for JLC info. It's likely a P478 movement but not an E150 as that would indicate that the case has a screw back. Hi Zafbasha, here a couple more pics. 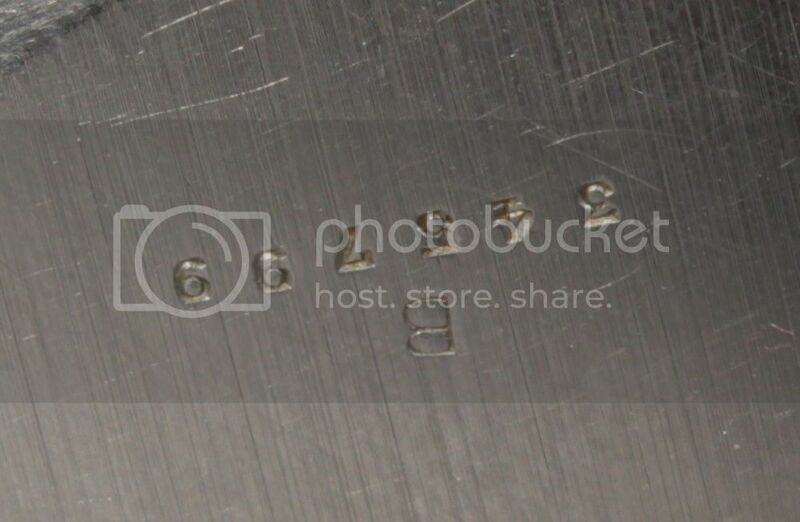 The numbers scratched into the case back are 6,5004 and 251/49. Have you come across this before? Do you have any idea what they may relate to? 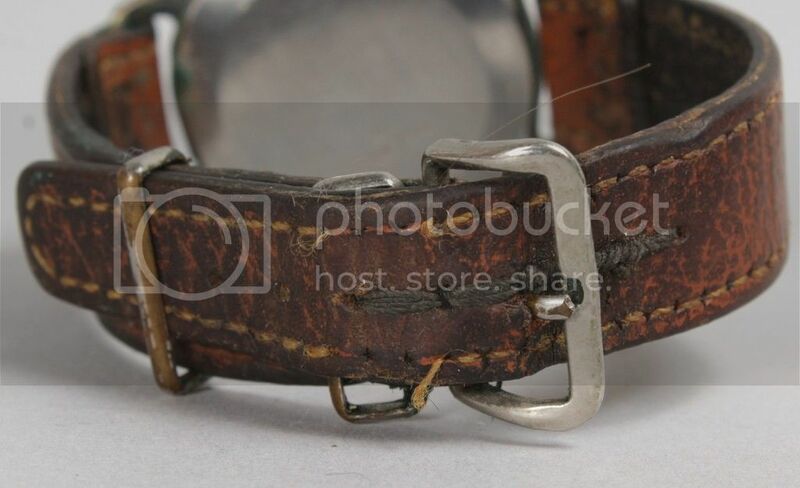 I'd also like a replacement strap like the original if anyone knows where I might locate one anywhere in the world. 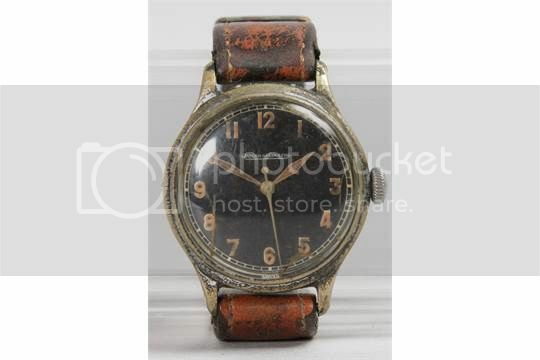 .. actually elsewhere I'd suggested it may be a black dial E159 - that last digit does matter. E109 would be a black dial with subseconds (and cal.463), if I recall right.. There was an advert scan posted on purists which suggested E159s could be either of black/white dialled (mine's white). Hi Al fancy seeing you here. You should post the pic of the extremely nice JLC. 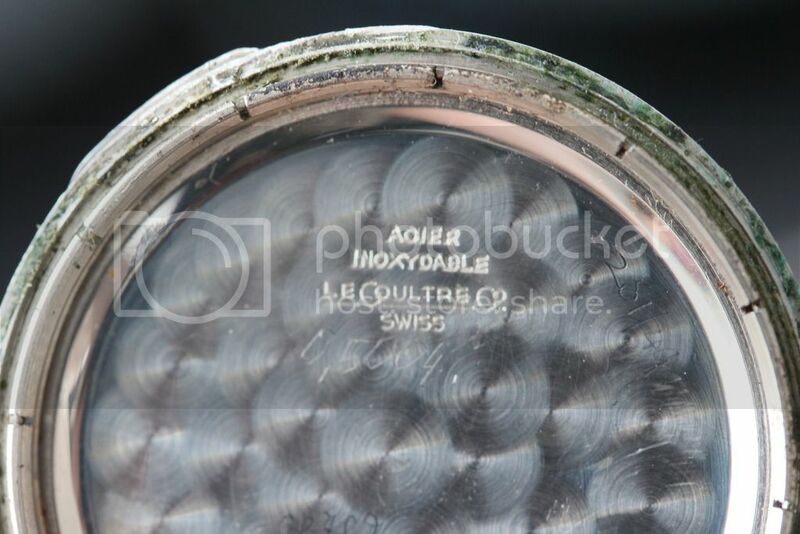 The "E" before the reference indicates a waterproof case. So unless they're considering the tight snap back in your example a waterproof case, it can't be an EXXX. Thanks Zaf - fascinating ..
Was thinking of the scan at http://zegarkiclub.pl/forum/topic/12856 ... C4%85cych/ and the examples cited over on purists - with very few exceptions, what folks call an E159 seems to have a snap back (). I seem to recall someone dug up that they can crop up with screw backs as per viewtopic.php?t=450&start=10 (and I think Ilja had one?) - but those are few and far between (and for issued, like Hens' teeth..). - the SHOM riff on this pattern all had snapbacks .. ? "Etanche" as in the catalog means waterproof and why there is an "E" before the case reference. So, if they consider the watch as a snapback to be waterproof (which it really isn't all that much) then the snapback is an E159, if not it's a reference 159. 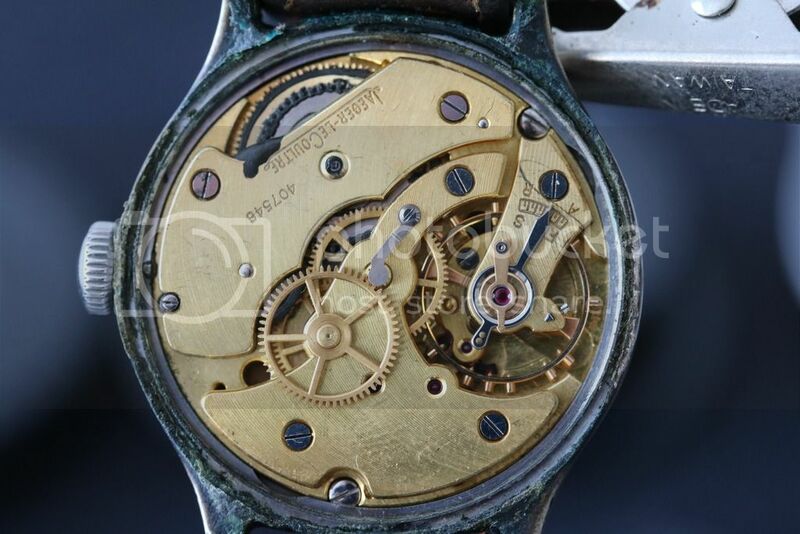 It's plausible that a screw back is E159 and the same watch as a non screwback is a 159. Looking at these watches, from the catalog, I'd say they're considering the snap back as being waterproof. This model had a tight snap when it was new. The old strap was to brittle to use so I got another made at Strap Works. I believe the crown is also not original does anyone know where I could source one from? No conventional parts dealer will have original crowns. Since it's unsigned anyway, what you have is pretty close I think. 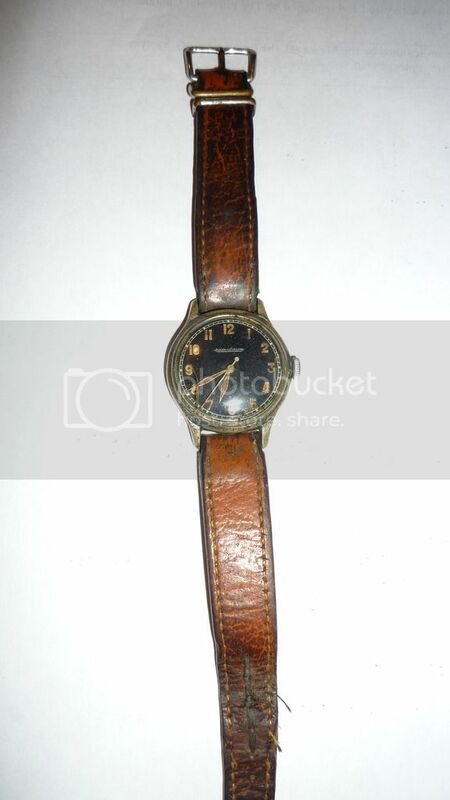 The watch in the thread posted on Jan 3 has an original crown.